About Cosmin Z. Message Cosmin Z.
Cosmin was an outstanding guide for our group of 4. His background in forestry and wildlife added a new dimension to most tour experiences. He did a great job tailoring the tour to our specific interests. His detailed knowledge of Romanian history, customs, etc., was very enlightening. The highlight of the trip was a visit he arranged to a Romanian farmhouse where the owner graciously welcomed us and served a great Romanian meal with homemade wine. I give Cosmin my highest recommendation! TOUR GUIDE RESPONSE: Thank You Duane for Your excellent feedback! I highly appreciate it. Cosmin was a great guide. I had a wonderful day in the mountains. He showed me beautiful views, and was full of knowledge about the plants and animals as well as Romainian history and folklore. He found wild blueberries, cranberries, thyme and mint on the way and adapted the tour to my pace and interests. Unique experience, 10 bears, Mother with 3 cubs - all very close. Exceeded expectations. 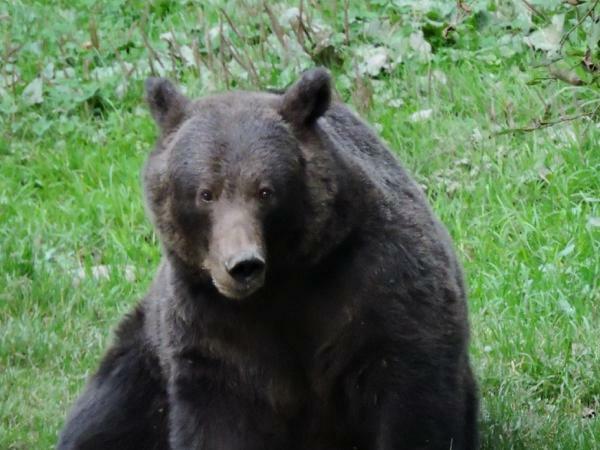 TOUR GUIDE RESPONSE: Really great that I had the chance to show You the bears in the Carpathian Mountains. I Wish You all the Best! TOUR GUIDE RESPONSE: I am glad that You had enjoyed. Great tour with an experienced wildlife bear specialist. TOUR GUIDE RESPONSE: Thank You very much for Your appreciation. Fantastic and Unbelievable experience with a wonderful, educated and responsible tour guide. We were 6 adults and 6 children who Cosmin our nature expert took into the deep snow in minus 10 degree weather. He taught us all winter survival skills, lit a campfire in the snow and we all cooked a lovely meal. Cosmin is extremelly talented and also very responsible and loving. He made the tour a personal experience that we shall never forget. The best nature tour experience that we ever had. THANK YOU COSMIN. Unbelievable! UNFORGETABLE! What a guide! In my wildest dreams I would never have thought that our family group of 6 adults and 6 children would have such an unbeleivable experience. Cosmin, an experienced, educated and responsible nature and forest expert gives you a personal connection with the forest. We hiked in minus10 degree deep snow, lit a campfire and cooked a meal. The children were taught survival skills and had an experience that they will remember forever. Thank you Cosmin. You are fantastic! TOUR GUIDE RESPONSE: Thank You Michal .Glad to have You on the Tour and being able to construct beautiful things with the right guest audience. You were great also. The Perfect Guests! I am glad that You had enjoyed and had fun together! !Best wishes!! We enjoyed this tour with our local guide Cosmin. It was much more than a woodpecker tour. We learnt about other creatures in the wild nd got to enjoy the breathtaking beauty of Brasov. Cosmin is knowledgeable and taught us about the plants...animals. We got to see a rare woodpecker and his keen eyes spotted a staff beetle and forest mice. As well we gained insight about the wild boars and deer. He was gracious and funny. It was invigorating and enjoyable experience. This was the best tour I have ever taken. Cosmin rocks. Both my husband and I thoroughly enjoyed this lasting impression tour. Spending time with a local and enjoying the local foods on a picnic...the homemade wine...fresh cheeses...the homemade donuts. What can I say...my heart sings with joy. Cosmin creates the experience to the individuals. You will not find a better time. It was so good that it is truly sad to keave your beautiful city. This will be one of my life's most memorable experiences. Would have given a higher rating except for two issues. Cosmin postponed the tour by two hours - and didn't tell us until he met us at our hotel. As a result the tour itself was thrown off schedule and he kept hurrying us to get through Bran castle. This was disappointing. I enjoyed the tour components particularly the hiking in the fields outside the Carpathians. TOUR GUIDE RESPONSE: Thanks for your feedback and sorry for the timing issue. It was a highly unusual situation that won't repeat itself. My husband really enjoyed this tour into the forests around Brasov. Cosmin was quite knowledgeable. TOUR GUIDE RESPONSE: Thank you very much Margret!! I hope to see you back in Romania. We had a great couple of hours with Cosmin, exploring the Postavaru mountain above Poiana Brasov. Cosmin is very knowledgeable, enthusiastic and entertaining and we had great time with him. He told us a lot about the Transylvanian forest and its wildlife. So sorry we did not have more time to talk and ask him about his colorful adventures. We also had a wonderful snack in the woods - he offered us his home-made tea and good old slanina (bacon). We will try to come back! Highly recommended!! Cosmin is an extremely knowledgeable and totally dedicated expert in the field of Transylvanian wildlife and forestry and is a very personable chap to boot. I was a little sick the day we met and he altered our plan to get me some medicine, after which we enjoyed a nice hike through the nearby forest and mountain. He seemed to know just about everything about our surroundings and we left Brasov enriched by our experience. TOUR GUIDE RESPONSE: Thank you Ken, very much for your extraordinary appreciation. I hope you are feeling much better and I wish to have twice the time together next time. My best regards to you and your lovely wife! We took the tour with Cosmin looking for Black Woodpeckers. We saw the woodpeckers and lots more including lifetime firsts such as Nutcracker. Cosmin was an excellent, good humoured guide, knowledgeable in birds and habitat, the wonderful forest and the life within. He was a sensible judge of our capabilities and ensured we had a brilliant experience of the wild Transylvanian forest. We will try to take a tour with Cosmin if we return to Brasov and highly recommend one of his tours to nature lovers. TOUR GUIDE RESPONSE: I really enjoyed your company also! I hope to see you for the next experience that I am working to arrange. Best wishes and many bird songs in your hart and mind!